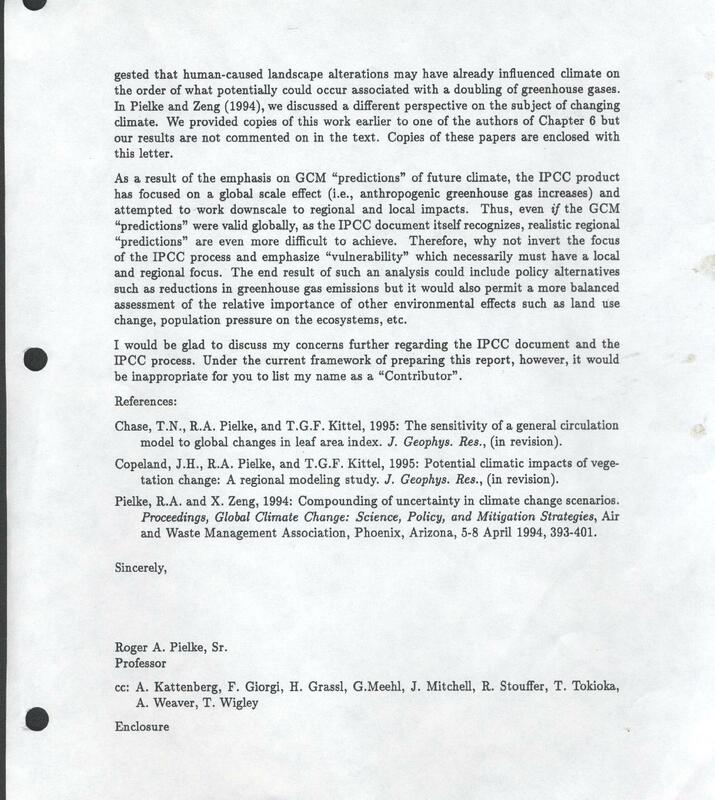 My 1995 Resignation Letter From The IPCC | Climate Science: Roger Pielke Sr.
← Can Climate Model Predictions Be Tested And Rejected As Providing Skillful Predictions? Of Course! In 1995 I was invited to serve as a contributing author to their Chapter which dealt with regional climate modeling. I sent in recommended text and papers. All of this material was ignored (as it was in 1992 when I was asked to review several chapters in the IPCC supplement report). 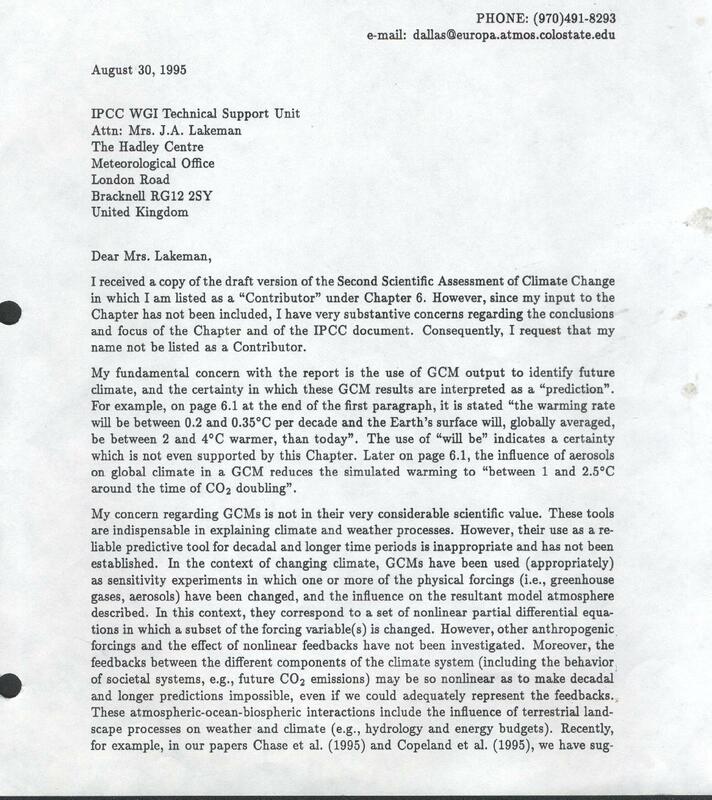 Subsequently, in 1995 I sent the letter below in which I resigned fromm the IPCC. I recently again came across this letter and, in rereading, it still accurately expresses my 2011 views on the IPCC perspective.